Wed, 02 Oct at 3:00 PM - Thu, 03 Oct 2019 at 6:00 AM . This ticket includes 3.5 hour sunset boat party + 4 free drinks + before midnight entry to Jamie Jones Paradise CLOSING DC10. Open 6PM to 6AM. Free bus after boat departs 7:30PM San Antonio bus station. boat sails 3PM to 6:30PM. Meeting point Rio Bar, San Antonio Seafront. Last Admittance 2PM. 3.5 hour SUNSET boat party + 4 FREE drinks + club entry to JAMIE JONES' PARADISE @ DC10 CLOSING + free bus TRANSPORT to DC10. 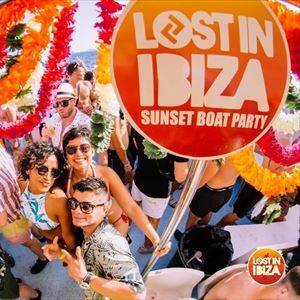 THIS BOAT WILL SAIL AT AN EARLIER TIME THAN USUAL 3PM - 6:30PM SO CUSTOMERS CAN ARRIVE to DC10 by 8PM & NOT MISS OUT ON THE GARDEN / OUTDOOR DJS. The HOLY GRAIL of CLOSING parties at famous super club DC10. JAMIE JONES at the helm. The HOT CREATIONS SUPER-HERO joins forces every week with the MOST ICONIC DJ'S ON THE PLANET.